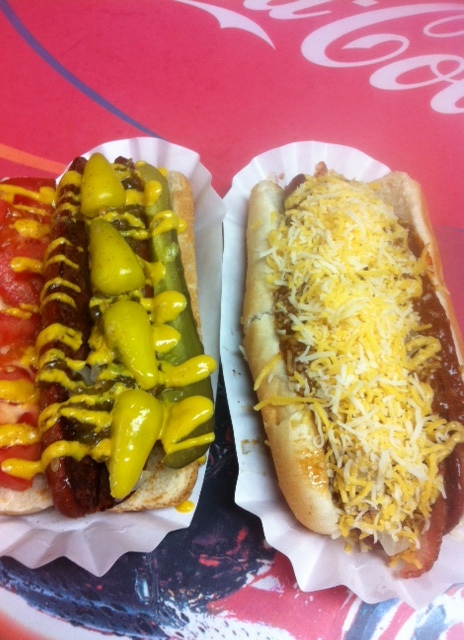 Daddy’s Dogs gives you 3 options for your frank: Beef, Buffalo, and Veggie. Considering that I am a huge fan of the old west (I’ve watched Dances With Wolves like 86 times) I decided to go with the buffalo. Lisa chose to do the same. 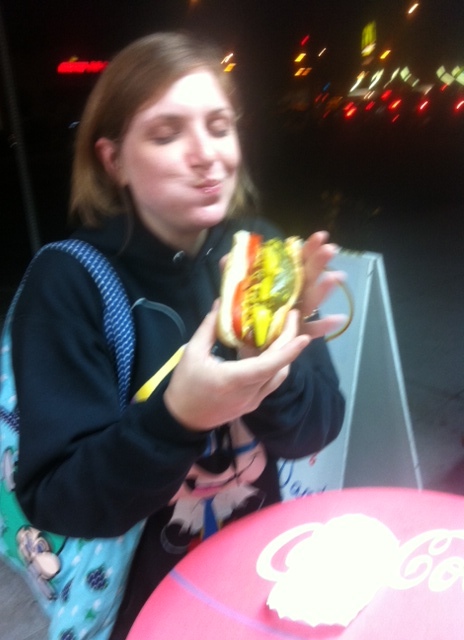 I didn’t get a chance to try Lisa’s chicago dog, because by the time I thought to ask it was already gone. I didn’t mind though, because I demolished my dog in record time too. As far as taste is concerned I had no complaints. The dog was halved on the grill and seared perfectly. 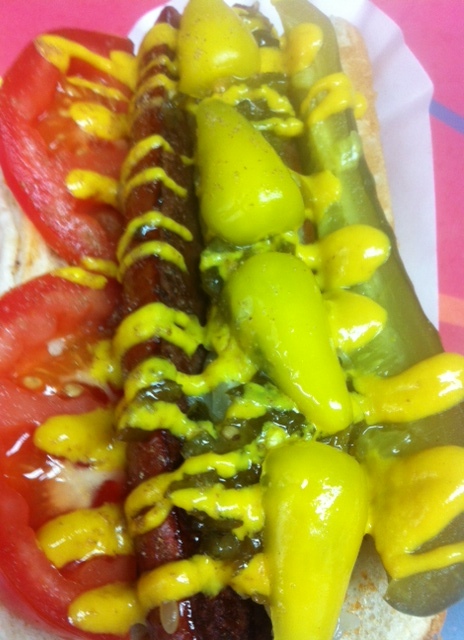 It was equal parts juicy and springy as a perfect dog should be. 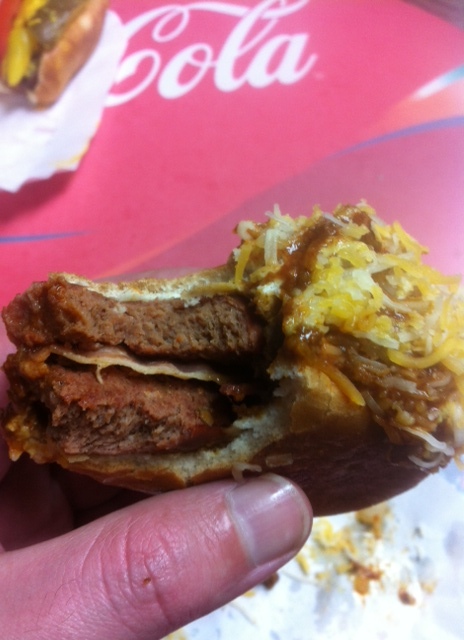 The chili was the traditional beef (no bean) chili that you’d expect to find and was spiced well and not overly sweet. 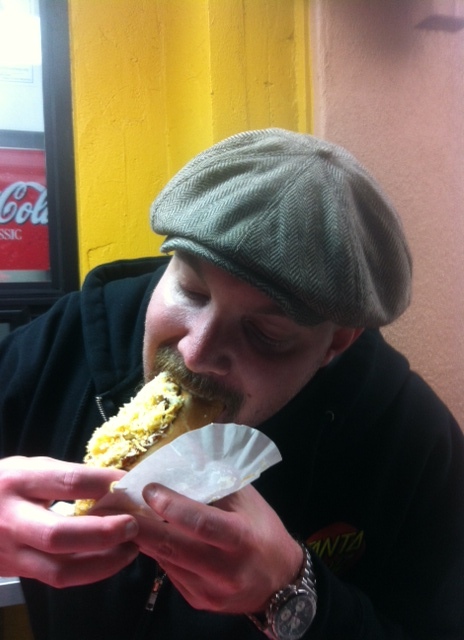 The mound of cheese was enough to provide that mix of melted and unmelted cheese that really separates the men chili dogs from the boy chili dogs. Finally, the bacon provided a nice crunch and occasional bursts of salty fatty goodness. As you can see, we really enjoyed our little visit to Daddy’s Dogs. 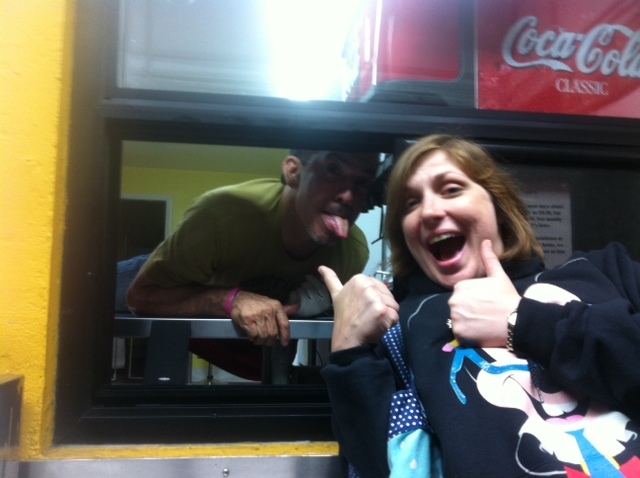 One dog was enough to fill me up, and the prices were very reasonable in my book (between $4-6). 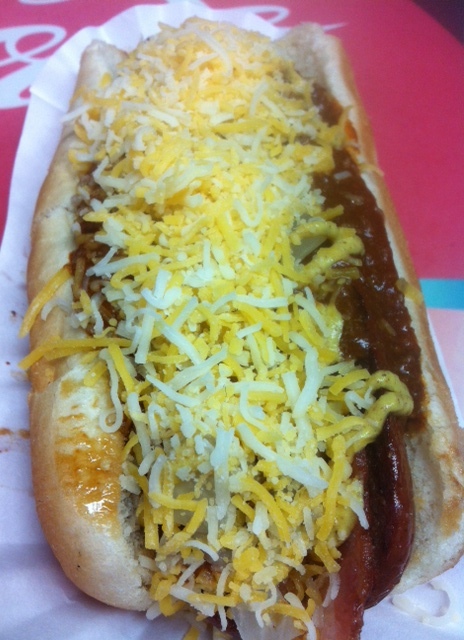 If you’d like to see the menu in full, please visit www.daddyshotdogs.com. Of course, I’d prefer it if you just took my word for it and went down there to grab a dog for yourself. Tell Daddy that EatMeCalifornia sent you.